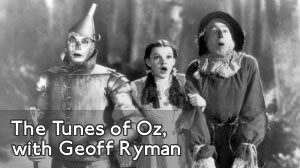 2012 Christmas special for Resonance FM: author and teacher Geoff Ryman reflects on how the soundtrack to MGM’s classic ‘Wizard of Oz’ got him into the habit of re-imagining the story, which led to his own novel’ Was’. © 2019 The Beekeepers. All Rights Reserved.